I received a free copy of this novel in exchange for an honest review. Ever since Kait Swanney could remember, the old crones of the village have been warning her to stay away from the selkies. They claim that like sirens of old, the seal men creep from the inky waters, shed their skins, and entice women to their deaths beneath the North Sea. But avoiding an encounter becomes impossible when Kait is spotted at the water’s edge, moments after the murder of a half-selkie infant. 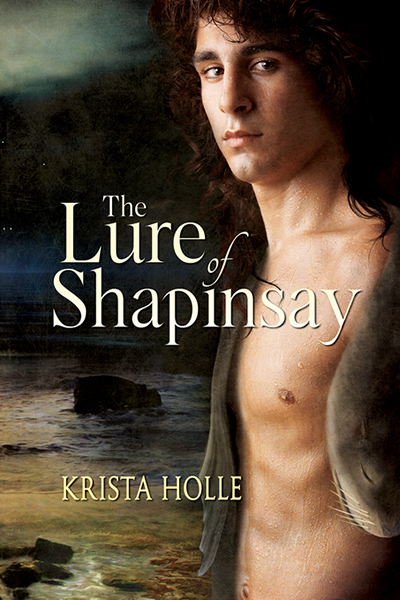 Kait is awoken unexpectedly by a beautiful, naked selkie man seeking revenge. After she declares her innocence, the intruder darts into the night, but not before inadvertently bewitching her with an overpowering lure. Kait obsesses over a reunion deep beneath the bay and risks her own life to be reunited with her selkie. But when she lands the dangerous lover, the chaos that follows leaves Kait little time to wonder—is it love setting her on fire or has she simply been lured? Random: Brush on up on 19th century Scottish lingo because as readers, we need it. Having never read anything about selkies, I was intrigued by the mythology and world-building of the book. It was interesting to learn more about selkies and the inclusion of crazy characters really helped the books. Selkie are seal-men. Kait, I’m not sure if I like or I don’t like her. She is madly obsess with Eamon the selkie to the point where she nearly kills herself just trying to find him in the ocean. She is consumed with madness which makes her an interesting character because she is crazy. But she is boy-crazy and I don’t like women who define themselves by their male partners and that is what Kait is doing. It’s hard to believe she honestly cares for Eamon (at the start of the novel) because she is a madly obsessive with him. It felt like that she didn’t love Eamon for who he was but what he was. Kait is fascinated by the idea of a selkie, that’s what she loves. She is adamant in forming a relationship with him that doesn’t feel real. Even at the end of the novel, there is still a little lingering thought that she likes him because of what he is but most of their love feels real by the end. Eamon’s thoughts on Kait and his not-obsession but interest in Kait feels more genuine than Kait’s interest in Eamon. He doesn’t go through the near-death experiences. He is more curious and tries to learn more about her. He adapts to her ways which is hard for him to do. I was surprised to learn how young he was. That is a shocker. A great deal of the novel deals with Eamon trying to live on land and do right by Kait. He has to change what he is in order to live with her which drastically change him as a person. The good thing is that Kait does see the change and worries about it (more about what it means for her instead of him) but she does see that her way is hurting him so she does right by him in the end. The romance of the novel (for me) feels forced and riddled with a love obsession that appear to become genuine is the end so that is the good thing. We do learn the selkie are bound to the sea for good reason. Tipper is the prime example of what can happen to selkie who are land bound. She is crazy, a nice word for her. She keeps looking for her seal skin so she can return to the sea but she is having trouble finding it. She now hates being on land and is growing old (which selkies are not meant to grow old). If Eamon stays on the land, she is what he will become. Tipper is the warning of what is to come but it is through Tipper that Kait realizes her dream of being with Eamon. She is a double-edged sword. Overall, it was interesting story that details the path of an obsession to true love. At least two of the characters are borderline mad which always makes for a great book. Krista has kindly offer to a giveaway package to an international reader. 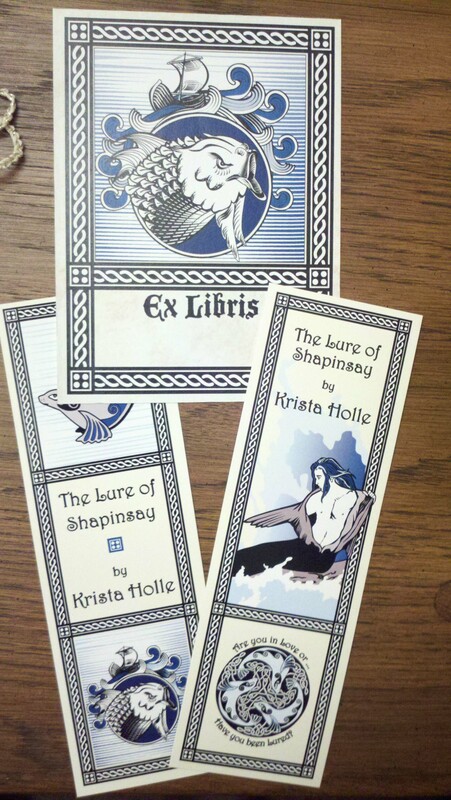 This package includes a paperback copy of the novel, a T-shirt, bookmarks and bookplates. Sounds pretty good to me. All you have to do to enter is leave a comment answering the question “Do you like the ocean?” and leave your e-mail. Giveaway ends with on May 25. GIVEAWAY IS NOW CLOSED. THANK YOU FOR PARTICIPATING. This is the first book trailer I’m posting on Persephone’s Winged Reviews. It has pretty good music accompanying the storyline. The reason it’s going up is I’m doing a review for the book on Friday, May 11 and there is going be a giveaway. It’s not just a giveaway though, it’s a giveaway package. 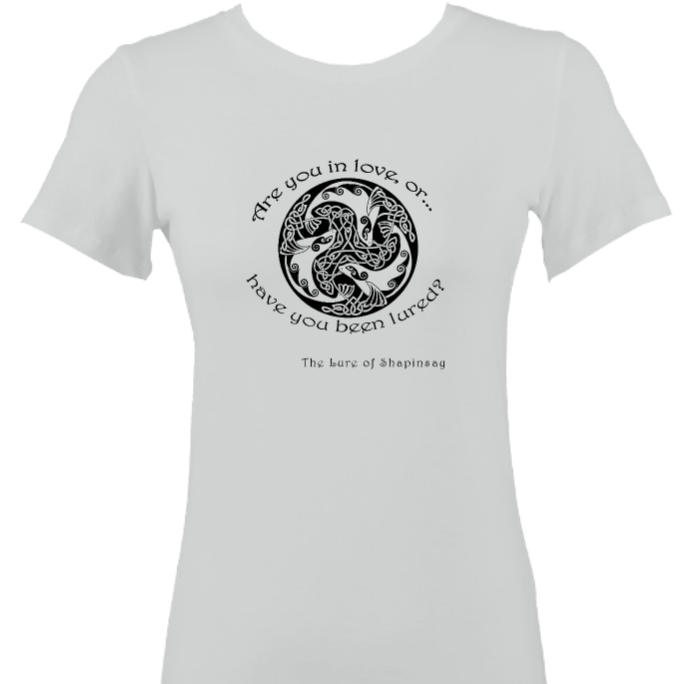 (Includes a paperback copy of the novel, a T-shirt and other goodies). I hope you guys are interested in the novel. Free to stop by on Friday to see the review and enter the giveaway.